Procrastination – the thief of time. Have you ever planned to carry out an activity, and you see yourself moving it to another time; perhaps a more convenient time, or another day or sometimes soon? Have you also pondered on reasons you keep evading a task slotted out to take place at a particular time, and when you don’t get it done, you get mad at yourself, and that’s all, and the cycle continues? If your answer to the first question is yes, that is what is called procrastination- the thief of time. If your answer to the second question is equally yes, you have only found out that there is an issue, but you’ve been unable to sort out the issue. So how do we go about this knotty issue? Because if it is not nipped in the bud, the ripple effect on the affected person may be grave. I will be sharing some techniques of how to outwit this plague of procrastination. Before i go further, I just want to let you understand that you are not in it alone. I’ve been there, and sometimes I fall back. MINIMISE YOUR TASK: To eat an elephant, you don’t consume it as a whole; you take it bit by bit, and before the get go, you’re done. The same goes with a task you have at hand. To accomplish whatever you want to do at a stretch may be overwhelming that in the end, it puts you off, and you end up not accomplishing what you have at hand. The best way to stab procrastination in the back is to minimise your task; break it into chunks. It makes the work easier, and the goal attainable. BE TIME SPECIFIC: When you set a freelance time for yourself, you might not do what you have to do because you have it at the back of your mind that you can do it at any time. By being specific about your time, you set for yourself a deadline, and you try all in your power to meet that deadline. It also helps you get focused because by allocating each task to a time slot, the work doesn’t look messy and breathtaking. 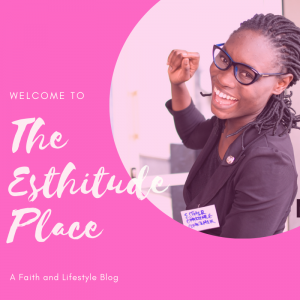 HAVE AN ENABLING ENVIRONMENT FOR THE WORK: for each task you want to carry out, there are some environments that motivate you to forge ahead in the work, while some would aid you to procrastinate as much as you want. By creating an enabling environment for any task you want to perform, it makes it easier to give procrastination a devastating blow that sends it off your back. EAT THAT FROG: By eating the frog, you take the most difficult task first. You face it headlong with so much gusto. Doing this enables you to accomplish a smaller task that come along. However, when you take smaller tasks first, and you are set to do the hardest, you may find it difficult because you could either be fatigued or just decide to move it to a “more convenient time.” Moreover, it is to tasking for you too stress yourself. 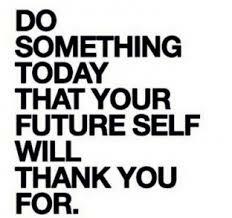 PROMISE YOURSELF A REWARD: by promising to give yourself some perks after completing a task you set to do at a given time, you feel motivated to do more because some nice reward is on the way. Stay through to this promise and indeed give yourself a treat if you do not procrastinate your work. It goes a long way to waive procrastination in the future. 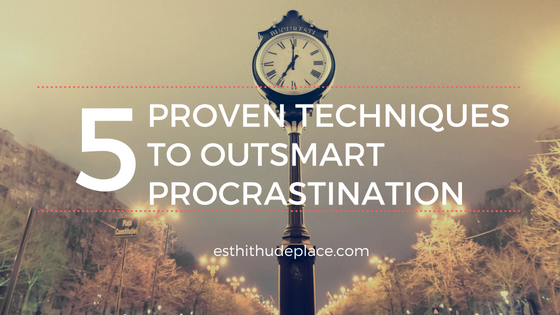 I hope with this few techniques given, we outsmart procrastination and kiss it goodbye. Congratulations as you seize to procrastinate. waoh! thanks for sharing. i will work on what is stated. it is really a monster.